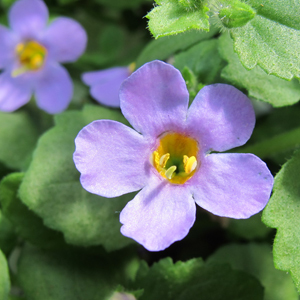 (Bacopa) Snowstorm® Blue Sutera features small blue flowers that appear all season. This Proven Winners® Bacopa is a strong trailing plant that trails up to 36″ and makes a great filler in your plant combination’s. Mix Snowstorm® Blue with Geraniums and Verbena to make a great hanging basket or combo container.